"At long last, we have "liftoff" from the Fed. On Wednesday, exactly seven years to the day of the last Fed change to short-term interest rates, the Federal Reserve embarked upon a journey of unknown duration with an unclear final destination, and will try to get us there using unconventional monetary policy means. This will likely make for interesting times in the months and years ahead. The quarter-point increase in the federal funds rate had a predicable lockstep effect on the Prime Rate, which moved up to 3.5 percent. Effects on other borrowing rates are more dependent on market conditions, changes in bank costs of funds and more, and there was no discernable immediate effect to be seen anywhere. While the Fed did raise short-term rates, it chose not to terminate its program of reinvesting inbound proceeds from its massive balance sheet into new Treasury and MBS buys. This will continue to provide reliable support to help keep long-term rates -- and mortgage rates -- lower than they would otherwise be. The program will persist for some time, at least according to the Fed's release, "until normalization of the federal funds rate is well under way", whenever that may actually be. All in all, the big event was largely a non-event for most, and with support continuing, mortgage rates barely budged and may actually settle back now that the deed is done. Seven years is a long time for the central bank to make no change to policy, but here we are. If things had worked out as planned for 2015, we might have been talking about a second or even third increase this week, but events conspired to keep the Fed at bay a little longer than expected. Where we go from here, and how quickly, is anyone's guess at this point, but we're starting the journey at long last. 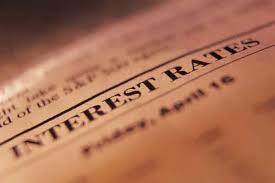 The global economy will have much to say about where interest rates go, especially long-term rates. Demand for U.S.-backed investments remains strong and the Fed's moves may strengthen this to some degree as we go, at least until other economies get their feet under them and begin to present some compelling investment opportunities, but it might be a while before we see that happen. Dragged down by slack global demand and falling energy and commodity prices, inflation may not be able to get much of a foothold for a while either, but prices for these items cannot fall forever and will eventually help nudge costs back up again over time. Despite the lift in the federal funds rate this week, there is no real "ripple in the pond" effect. For now, all we have done is seen the yield curve flatten, making short-term rates perhaps a more desirable investment for some. Most loan rates are unaffected, and many variable rate products such as HELOCs or even credit cards will remain at interest rate floors for a while, so any damage from a higher Prime Rate will be limited at best. All indications are that mortgage rates remain well tethered, and we will probably even see a slip of a couple of basis points in the FRMI averages next week, now that all the shouting is over. Holidays are usually times of slack mortgage demand, anyway, and we probably won't see much of a change in the sanguine pattern we're enjoying until the first full week of next year. "